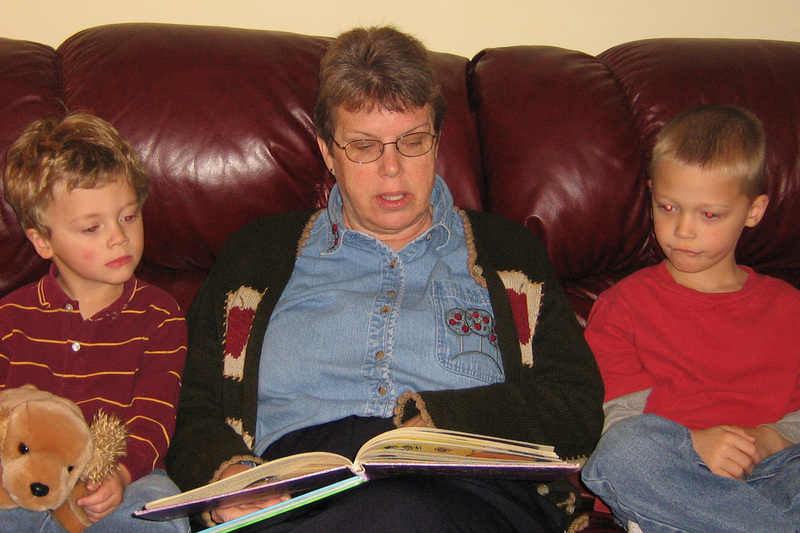 Grammy reads to Gavin and Ethan during a visit to Rochester, Minn., in 2007. The stuffed animal that Gavin is holding reminds me of our pet dog, Princess, when my sisters and I were younger. She was an adorable dog ... *sigh* I miss her.